Posted by Sam Smith on Sunday, July 31st, 2011 at 9:59pm. Newport Shores is a great community that is located right on the boarder between Newport and Huntington Beach with a beach close location and a unique architectural style homes in Newport Beach, Californa. Within your first visit to this community you will see a large number of "A Frame" style homes built in the early 1960's. Not all the homes located in Newport Shores are built in this style but it truly the distinguishing factor when visiting the community. A newly listed Newport Shores home has come on the market that offers a newly renovated Shores home. The community offers a private community pool. tennis and clubhouse tucked away in the upper corner of the community which feels like a remote resort overlooking the flat grounds of Huntington Beach. 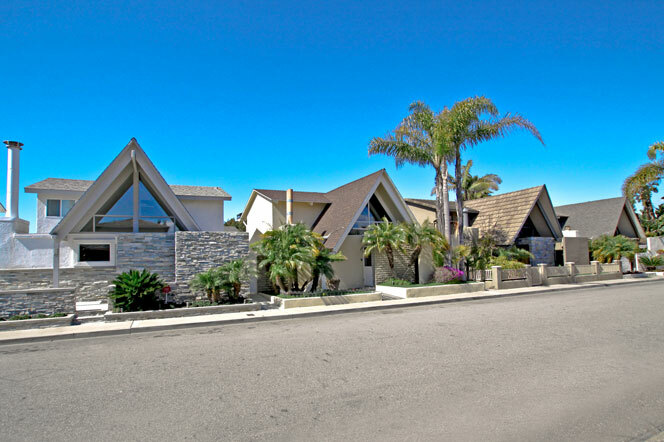 If you are looking for a unique area in Newport Beach where homes are located near the beach then we encourage you to visit the Newport Shores area. You will find beach close and ocean view homes in Newport Shores.